phones. It comes with the Jabra Pro 920 AC/DC Wall Adapter, Jabra Pro 920 earpiece, car cushion, Spare Wireless Headset Charger, over-the-head headband, and the Jabra Pro 920 Ear hook (both styles included). For only $189.95 you can get crystal clear audio and quality enhancing features that protects hearing by cutting off loud noises. The microphone has a special noise cancelling feature that helps cancel unwanted background noise from your office to ensure quality phone conversation with your clients. 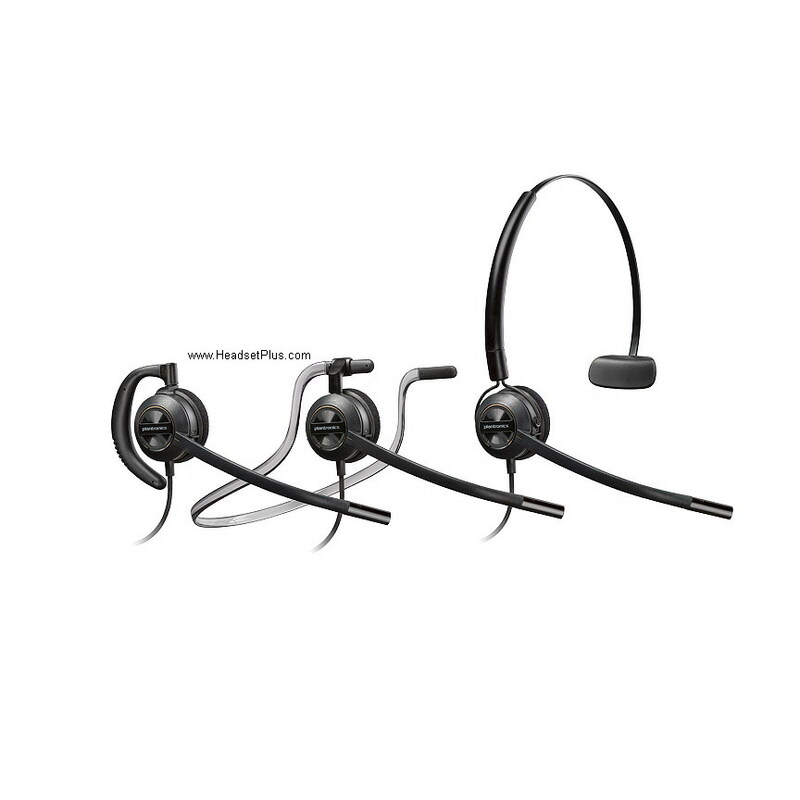 The Jabra Pro 920 Wireless Headset System is made to provide superior office use with up to 325ft office range to increase work productivity, minimal energy consumption with Jabra IntelliPower system, and state of the art encryption between headset and base for a more secure conversation with your clients. One of its pros is its user-friendly feature as it is very easy to set up with a voice-prompt guide and it is compatible with all leading desk phone systems. It has a perfect sound quality and is capable of Conference up to 4 additional headsets which is very useful for office training and meetings. The only con for Jabra Pro 920 Wireless Headset is that it doesn’t have a hold button and an alert for incoming calls. But with its super reasonable price and superior sound quality we will give it a 4.8 out of five start rating. The VXi V200 is probably the most affordable ($150) wireless headset for the office worker. It has all the features of the more expensive models from Plantronics and Jabra. 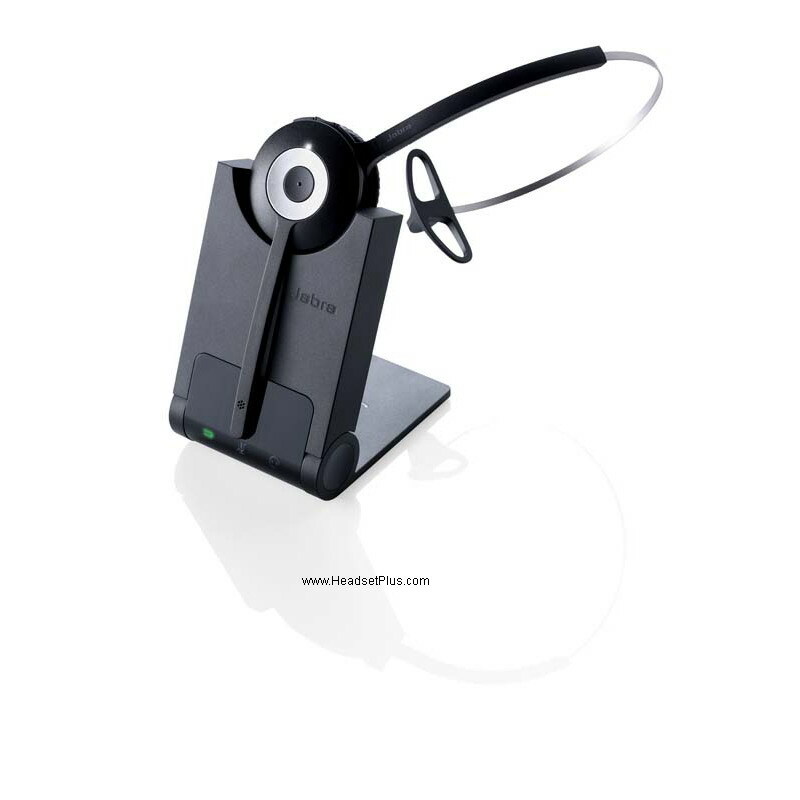 VXi V200 wireless headset is popular for its quality and comfortable features suitable for office work. It has an advanced noise-canceling microphone that filters out background noise to ensure quality calls when talking to your clients. It also has a 64-bit encryption feature that guarantees safe, secure and private conversations. If your office work requires multi tasking this headset is perfect for you as it has a radius of 350 feet away from the desk giving you more room to do other tasks. 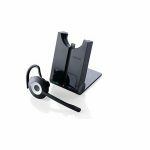 It also has a Dual connectivity technology that allows you to use the same headset the deskphone and a PC (Windows or Mac) via the USB cable. Ability to make phone calls from several different devices, with one single headset. Further, it includes 3 wearing styles (over-the-head, over-the-ear, and behind-the-neck) so you can never go wrong. No other wireless headset offer 3 styles in on package. For just $149.95 you will surely get superior headset quality to help increase your work productivity. The VXi V200 includes the easy set-up process, lightweight headset weight to guarantee all day use comfort, superior sound quality and its ability to connect to different device. The only con for this headset is that is doesn’t support quick disconnect so you cannot switch devices anytime. With its almost perfect technical features and reasonable price we give it 4.7 out of 5 stars. You can also choose from our top picks of the best Jabra headset systems to find the one that suits you best. 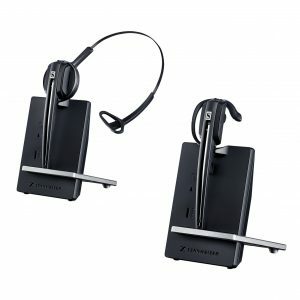 Sennheiser D10 Phone Wireless Headset => only $139! The Sennheiser D10 Phone is an entry level wireless headset that offers affordable price with high end features and quality. At the price of only $129 and it comes with 2 year warranty. You will get a perfect lightweight office single ear headset with 2 different wearing styles, a noise-canceling microphone that reduces background noise, and an increased range (500ft) that allows for maximum mobility. The Sennheiser D10 Phone also has one-touch controls for faster office use, energy efficient power management which is very useful for long office and client meetings, and a simple plug-and-talk installation for a comfortable and easy set up. The Sennheiser D10 Phone Wireless Headset has One-touch call answer, end, volume, and mute, can conference in up to three additional D10 phone headsets for enhanced collaboration, and it can be Used with Electronic Hook Switch Cable or Handset Lifter to remotely answer/end calls. The only cons with this headset are that it doesn’t have a usb and Bluetooth. For its price and great features we give this headset a rating of 4.6 out of 5 stars. 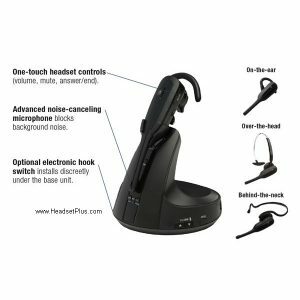 The ATT TL7810 is a wireless headset is designed for superior office use with a 500 feet maximum radius away from the desk it offers mobility on the office environment. It also has a advanced noise-canceling microphone that filters out background noise to ensure quality conversations over the phone. 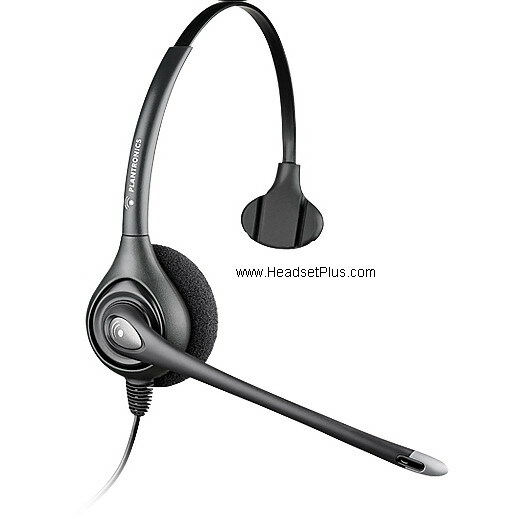 This is a great office headset for only $179.95. 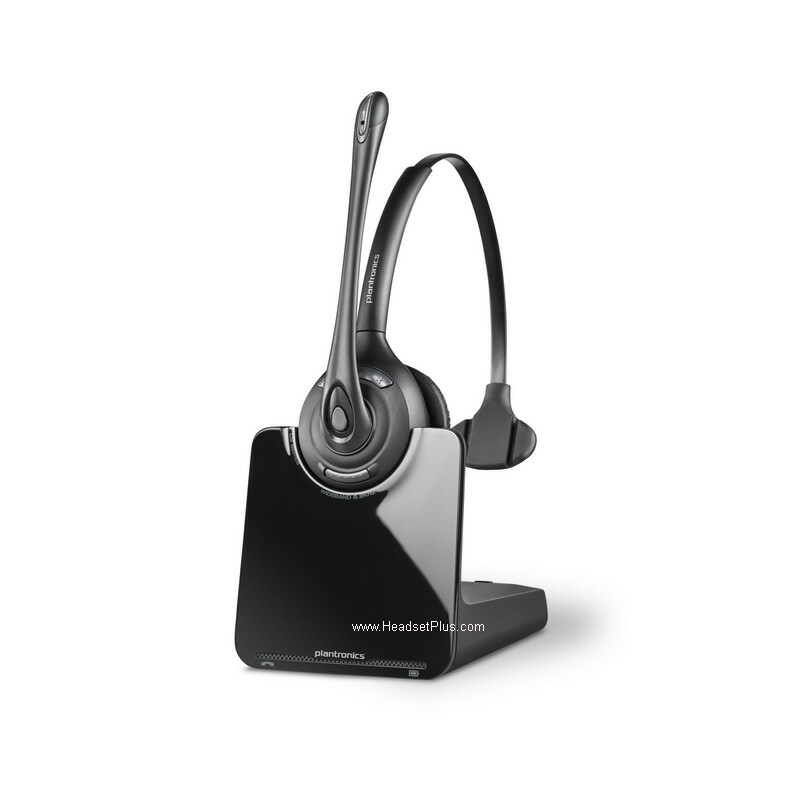 The key features of this headset includes a triple connection for 3 different type of devices (office phone, computer via USB and home phone), switch between the devices with a simple push of a button. 12 hours of total talk time when fully charged. 3 different wearing styles, easy to set up voice prompt, a one-touch headset controls for volume, mute, and remote call good for fast-paced office environment. 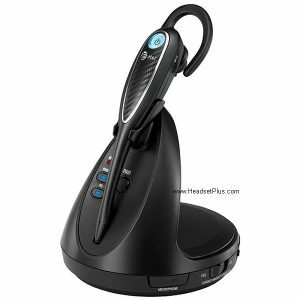 The feature that stands out the most with the ATT TL7810 is that you can use it as a wireless headset for a cordless phone or any home analog office phone. No other wireless headset offers this feature, not even the top end models from Plantronics or Jabra. The Plantronics CS530 Wireless Headset is perfect choice for those who want a very light weight and comfortable headset. It’s a on-the-ear only wireless headset that gives ultimate mobility and freedom in the work environment. 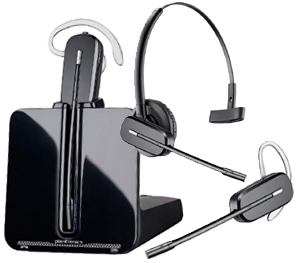 The package includes CS530 Base, CS530 Wireless Headset, Spare ear tips, Power supply, and Telephone interface cable. 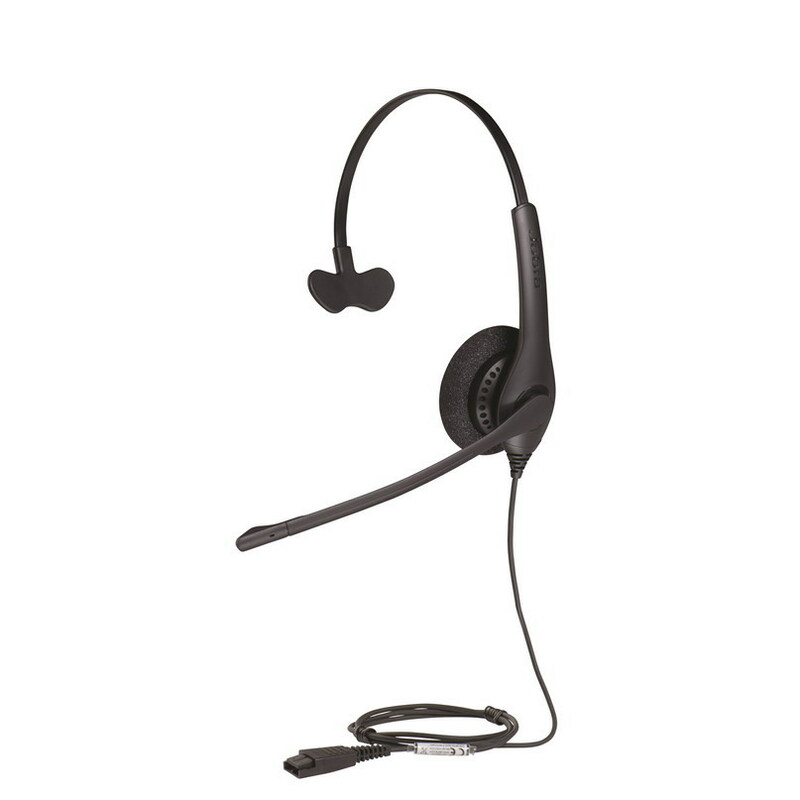 Key featurs of this headset includes premium wideband audio quality, One-touch call answer/end, vol +/-, and mute, Range up to 350 feet away for maximum mobility, Premium wideband audio quality, and it can be used with with electronic Hook Switch Cable or Handset Lifter to remotely answer/end calls. For just a price of $219.95 you will get the best quality headset for your office. 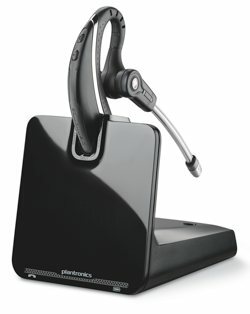 The only cons for Plantronics CS530 Wireless Headset is that it doesn’t support Bluetooth and usb. But with all its key features at a very affordable price we give it a 4.9 out of stars rating. You can also choose from our choices of the best Plantronics office headsets to find the one that suits your office needs.